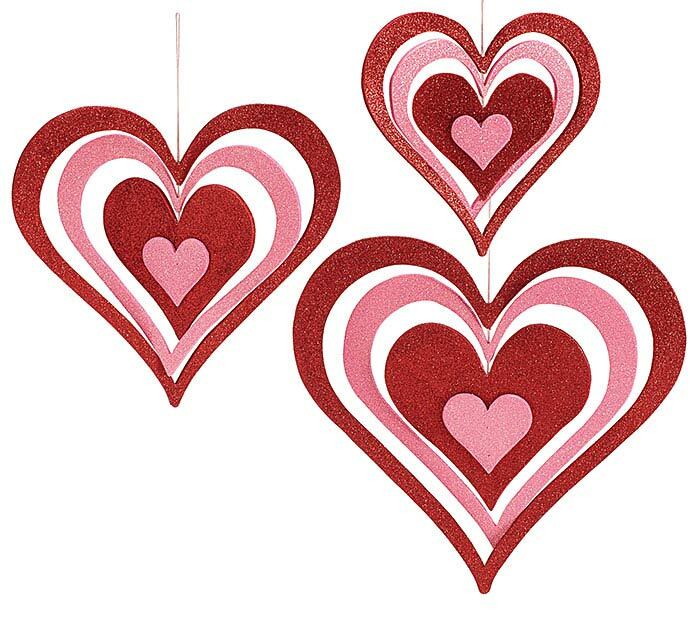 Wooden red and pink glitter covered hearts that have multiple layers that moved around and twist. 1 varied set of 3. 4 reviews left with an average 3.3/5 rating. When I received them, the 2 large hearts were broke. Nice quality. good for display....small display. Great for our window display! !